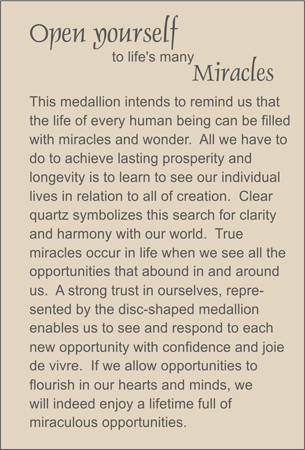 MEDALLION: Rose quartz disc medallion symbolizing how we grow from small beginnings to reach out in all directions. ACCENTS: Faceted rock quartz crystal globes and smooth ellipses. COMMENTS: This is the TRULYHUMANmedallion chosen most often by breast cancer patients.